The Founder Tribal Guardian program helped fund the construction of the new Blue Elk Lodge (Tribal Records Center). This was a one-time program and was concluded in August 2018. Donations to the Founder Tribal Guardian program do not apply to the Lifetime Tribal Guardian program. The funds for the Founder Tribal Guardian program are intended for the new Blue Elk Lodge while the Lifetime Tribal Guardian donations are applied to the Mic-O-Say endowment. Founder Tribal Guardians are recognized with a Red Bear Paw. 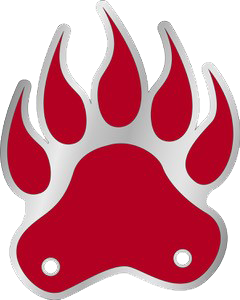 The Founder Tribal Guardian Bear Paw may be worn on the Scout uniform or on the tribal attire. The following tribesmen have made the commitment to become Founder Tribal Guardians. The list is current as of February 1, 2019. If you completed your Founder Tribal Guardian contribution before February 1, 2019 and your name is not listed below, contact Blair Allen (816-569-4922) to ensure that your donation has been processed.